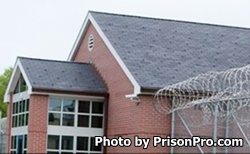 Indianapolis Re-Entry Educational Facility is located in Indianapolis Indiana at the site of the former Indiana Women's Prison. The Re-Entry Educational Facility is a minimum security prison dedicated to preparing inmates for their reintroduction into society. Offenders can receive substance abuse treatment, take conflict resolution classes, mentoring programs,and classes on fatherhood. Before you visit you should contact the facility to ensure visiting has not been canceled due to an emergency such as a lockdown. The visiting hours are Monday through Friday 6:30pm-8:30pm, and Saturdays and Sundays at 8:00am-10:15am, 1:30pm-3:30pm, and 6:30pm-8:30pm. Visits are two hours in duration.